List of Catholic Saints - The Kennedy Adventures! 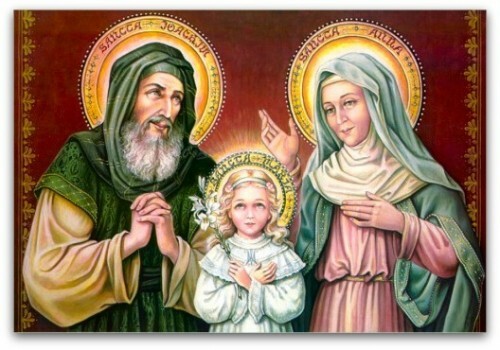 In teaching my Catholic faith to my children, one of my goals is to explore our list of Catholic saints. We have a giant list of amazing people to study, and in the coming year, I’m planning on making it a focus of our homeschool. We’ll study favorites new and old, male and female, people of other races, as well as obscure and popular saints. Even before I was officially Catholic, I loved Mary. She stands as a model for Catholic motherhood and marriage in my mind. 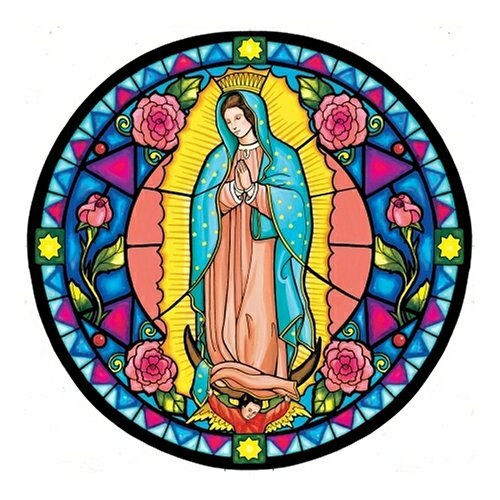 She goes by many titles, but some of my favorites include Our Lady of Grace and Our Lady of Guadalupe. Both images are serene, quiet and approachable. Have a favorite grandmother in your life? You’ll love to learn more about St Anne, mother of Mary and grandmother of Jesus. 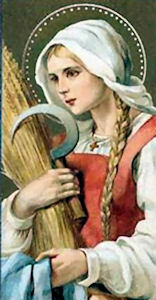 She’s considered the patron saint of women in labor and Christian mothers. I’ll be leaning on her heavily this spring as I prepare for another natural birth with Baby Six. She’s often mentioned alongside her husband, St Joachim. As a working mother, I wear a lot of hats: nurse, homeschool teacher, part time writer and wife. 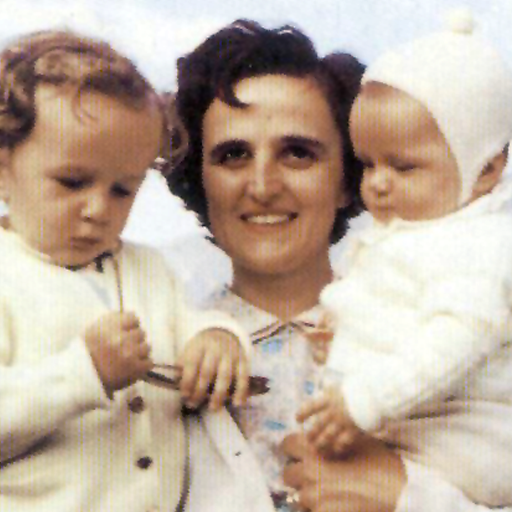 St Gianna was a pediatrician and mother, choosing to save the life of her unborn child during a complicated pregnancy. She died shortly after her fourth child’s birth, leaving behind an amazing prolife legacy. She’s considered the patron saint of the unborn, mothers, physicians, and those affected by infertility. Ever grumble while working away in the kitchen? Irritable thinking you’re doing all the work? 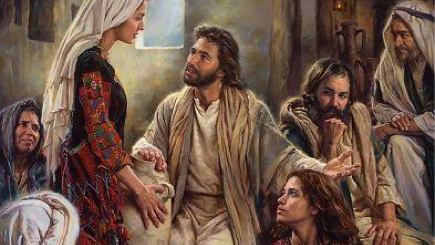 St Martha is a reminder for us to have the right attitude, or a servant’s heart. My life is full, but only those close to me know about the empty spot. When our twins were small, my oldest daughter moved in with her dad, breaking my heart. I lean heavily on St. Monica, as she knows the pain of a wayward child. 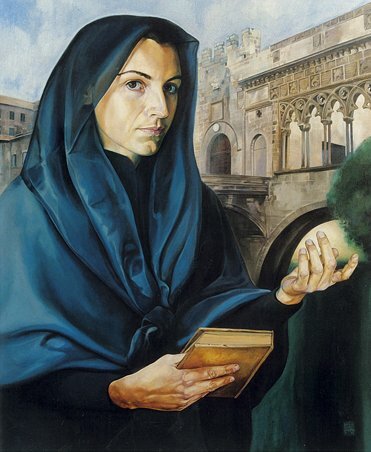 St Monica is considered the patron saint of mothers, abuse victims, wives and alcoholics. Mother Seton is the first American born saint of the Catholic Church. Although she was born into a wealthy family in New York, she eschewed her family’s riches and lived a simple life. She married her husband William, and the young couple spent the early years of their marriage caring for William’s siblings after William’s father died. After William’s health began to fail, they moved to Italy, hoping to improve William’s health and growing their shipping business. While in Italy, William died, leaving ELizabeth a widow. While in Italy, she had made many Catholic friends. She converted to Catholicism when she returned to the States. She created the model for the parochial school system here in the US, establishing the first free Catholic school for girls. 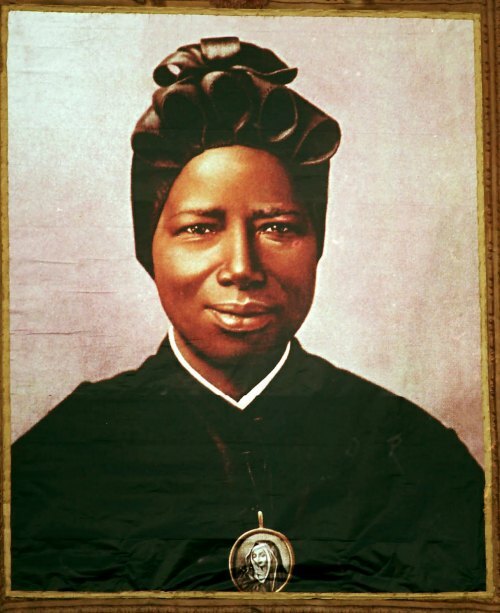 Later, she went on to establish a religious community in the Sisters of Charity of St Joseph. As a teacher, she’s a saint I call upon often when my little students are challenging my patience. 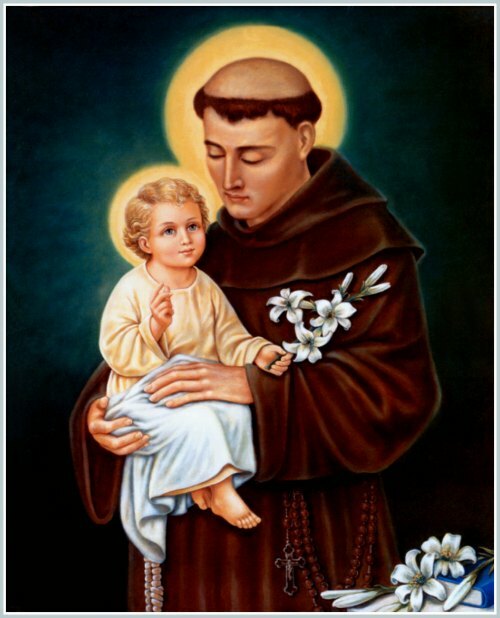 Looking for a list of Catholic saints to be role models for your young boys, teenagers or even your husband? How about some of these men? 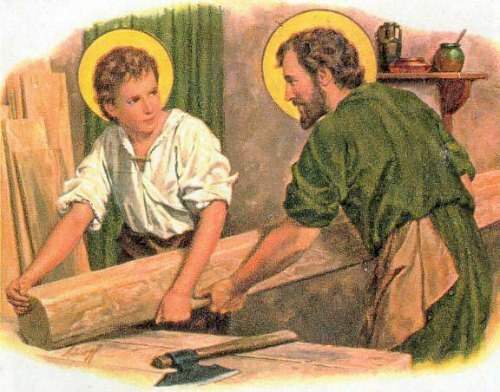 Many consider St Joseph as a model for fathers, but he is a saint I hold dear as well. I look to his example of strength and trust in God’s plan. Papa Joe serves as a provider, protector and leader for his family, while staying to God. He puts his faith and family before anything. You’ll see that he has two feast days, March 19 as well as May 1st. Sadly, I’m terribly disorganized and lose things frequently in my house. Poor St Anthony hears from me at least twice a week. Do you know the simple rhyme? Tony, Tony, look around. Something’s missing and can’t be found. He deserves far more credit than simply helping jog our memories. He was a dynamic speaker, gifted in explaining the Gospel to the uneducated. The idea of spiritual warfare is scary, but completely real. The family, our domestic church, is Satan’s primary target for destruction. 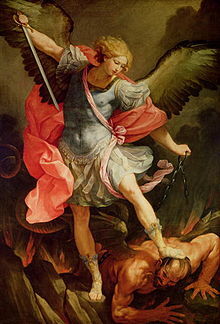 One of our greatest defenders against the Enemy is St. Michael. We begin teaching the children about this spiritual role model early. They love this warrior for Christ. 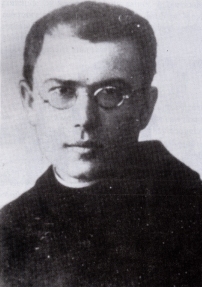 St Maximilian Kolbe was a Polish priest and founder of the Knights of the Immaculata, dedicated to Our Lady. He was imprisoned at Auschwitz and offered his life so that other prisoners would be spared. 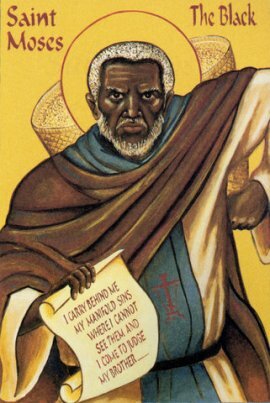 I’m planning on exploring this list of Catholic saints during Black History Month, as well as Black Catholic History Month. Born in Africa, St Augustine spent the early years of his life giving St Monica plenty of grey hairs with his life of partying. After meeting up with St Ambrose, along with many years of prayers from his mother, St Augustine became one of the greatest saints that ever lived. He is considered the patron saint of brewers. St Benedict was born to African slaves near Messina, Italy in 1524, and was later granted freedom by his master. He went on to become a priest and served with the Franciscans as a cook. He is known as a patron saint of African Americans. 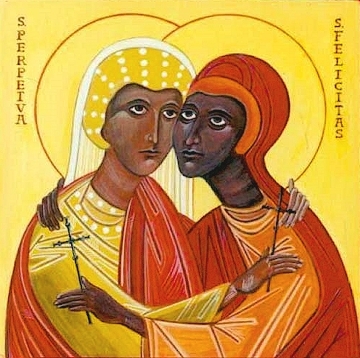 Sts Felicity and Perpetua were Christian martyrs of the third century, suffering together at Carthage, in the Roman province of Africa. Felicity was a slave, and expecting a child when she was thrown into prison for being a Christian. Perpetua was a married noblewoman who also went to prison for professing her Christianity. The two women were tortured before being executed in March 203. 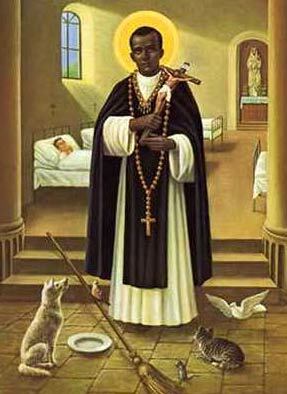 St Martin de Porres was the illegitimate son of a Spanish nobleman and a freed slave of African descent. After growing up in extreme poverty in Lima, Peru, he volunteered to serve with the Dominican order in Lima. He became known for his kind care of the poor and sick. 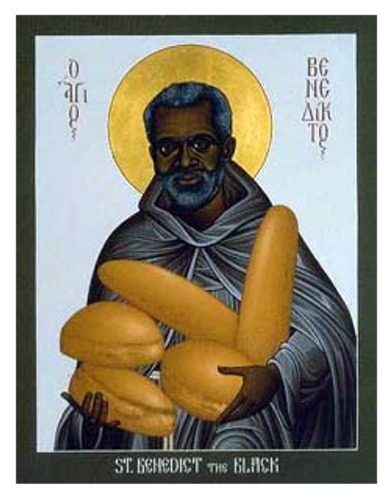 He is known as the patron saint of African Americans, together with St Benedict the Moor, as well as the patron saint of bi-racial people and barbers. A former slave who was dismissed for suspected thievery and murder, Moses became the leader of a gang of bandits in Egypt. Attempting to avoid capture by local authorities, he sought shelter with monks near Alexandria. The time he spent with these men influenced Moses to convert to Christianity and join their community. He is known as the patron saint of Africa. Born in Sudan, she was kidnapped by Arab slave traders around age seven and forced to convert to Islam. Named Bakhita by one of her captors, she was bought and sold until she ended up in Italy. There, her owner left her with the Canossian Sisters in Venice while on a business trip. When her owner returned to claim her, Bakhita refused to leave. Italian law did not recognize slavery, and since Bakhita had reached the age of maturity, she was finally free. She entered the novitiate, and was baptized Josephine. 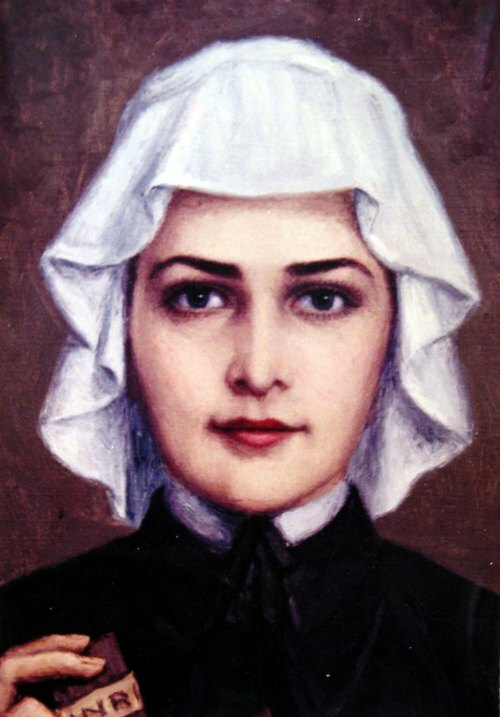 She served the Canossians as a cook, sacristan and portress. She is known as the patron saint of Sudan. Looking over my list of Catholic saints, a few stand out as being known and loved all over the world. I’ve married into a family of Irish heritage, so it’s only fair that St. Patrick holds a high place of honor in my household. In March, we do far more than eat corned beef and cabbage while drinking green beer. 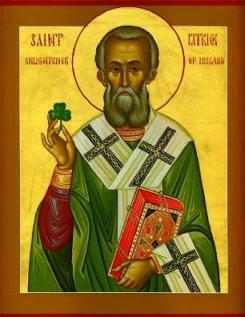 We celebrate Irish history and honor the man who followed God’s plan for his life, helping bring Christianity to Ireland. Don’t miss my Saint Patrick’s Day pinboard, filled with ideas for Saint Patrick’s Day crafts and celebrations. 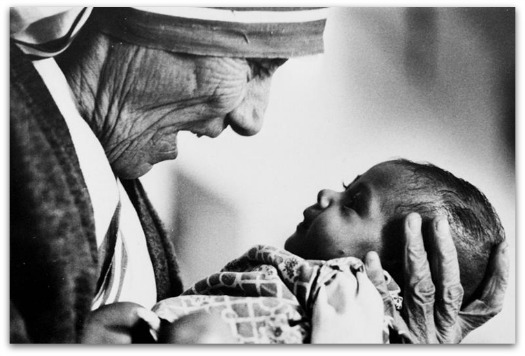 Loved by millions the world over, Blessed Teresa of Calcutta (Mother Teresa) stands as a model for service to the poor and sick. During Advent, you’ll find us celebrating and making lots of Catholic Advent crafts for kids. 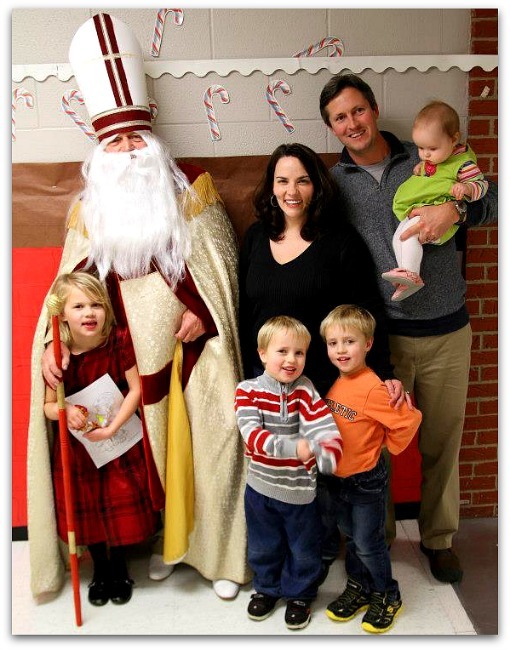 One of our very favorite saints to honor is Saint Nicholas. Ever looked at a list of Catholic saints and thought, “I’ve never heard of that person!”? Those would be some of the more obscure Catholic saints. We’ll be taking a look at them this year as well. In February, our kids love going to Mass near the feast day of St Blaise. You’ll find us in line for the Blessing of the Throats, the day after the Presentation. 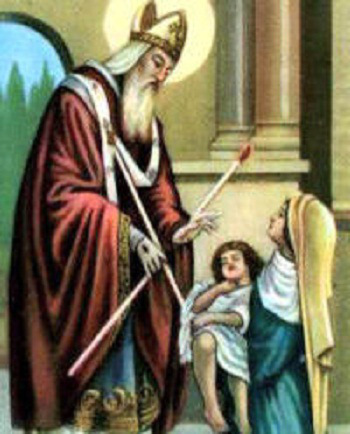 Legend tells us that St Blaise once saved a young boy who was choking on a fishbone. I’m a grade A control freak and planner. When things don’t go according to my plan, I tend to come unglued. St Rose Venerini is a saint I can lean on. She saw her dreams of being a nun disappear. Instead, she was called to create educational resources and avenues for faith formation. I can follow her example of following God’s plan for my life, instead of putting so much emphasis on my own ideas. I hate to admit it, but I’m not the best housekeeper in the world. I get bogged down and grumpy. St Zita appeals to me, as a real life Italian Cinderella. She served her family domestically with a joyful spirit — and it’s an example I need to follow. 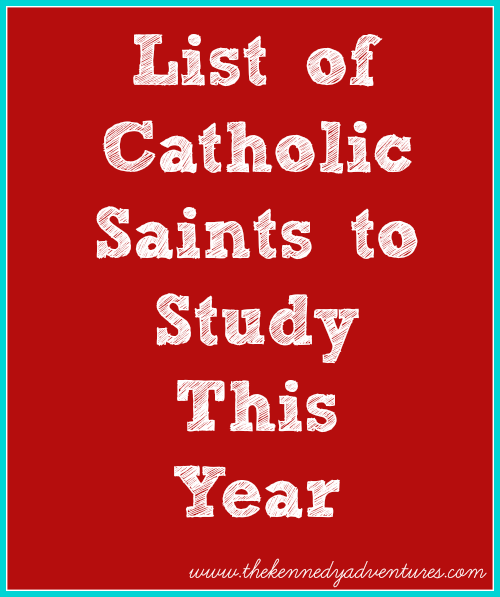 Ready for resources to go along with this list of Catholic saints? I use my Pinterest boards to gather great ideas I find around the web. These are some of the books that we own and use every day to help study the saints. I’ll be updating this post throughout the year, adding in more saints and resources that we’re using in our home. If you have some favorite resources, I’d love to hear from you! Very informative piece. I am a CCD teacher at my parish and was told to stick to the curriculum we’re given to teach. I have 15 kindergarteners and they are very hyper and get bored very easily. You have inspired me to go off the books a little and teach a little more than what the curriculum is. Thanks!